We seek a more intimate relationship with Jesus. W e invite you to join us in worship! 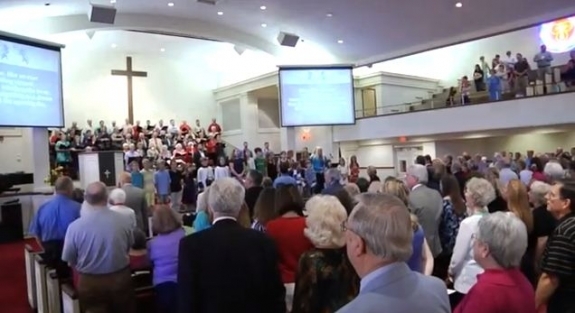 Families and individuals of all ages gather each Sunday to celebrate the worship of God through a powerful combination of hymns, ancient liturgies, message, and media. The Chancel Choir, along with the piano and organ, leads us in worship together. Holy Communion is celebrated on the first Sunday of each month. We have an open table where each and every person is invited to receive Holy Communion. This contemporary / informal worship time is where God’s love flows! Worship consists of contemporary music, multimedia presentations, and God’s word. The music is celebratory and interactive, and the morning message is given by one of our pastors. Holy Communion is celeberated and offered to all on the first Sunday of each month. Children of all ages are always welcome in our worship services. We know the value of families worshiping together! We also recognize that children can benefit from an introduction to worship and what it’s all about. Our children’s worship times are designed to do just that! Check out our Children’s Ministry Page for more information on our programs / childcare FAQs. 8:30–9:30 a.m. / 11:00 a.m.–12:00 p.m.
An engaging nursery is offered during all of our worship services. This worship time takes place during the 11:00 services and is a wonderful time for little ones to plant their seeds of faith! This children’s service consists of songs, prayer, offering, and a scripture lesson. This special time of worship during the 11:00 services prepares children to engage in lifelong participation in worship and is a great time to grow in their faith! Starting in Kindergarten, families begin worship together in the main services. 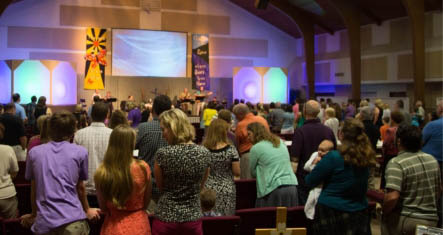 At a designated point in the service, children may either remain with their families to hear the sermon or choose to go to the chapel for this unique worship time. J oin us on Sunday evenings in the chapel for an intimitate time of worship! We fellowship together and worship through song, Biblical discussion, and prayer. Wednesday evenings are a wonderful time to pause and reflect on God’s faithfulness and to listen for God’s voice. Through scripture, music, and silence, we seek to recognize, receive, and respond to Christ during this time of contemplative worship. We invite you to join us for this unique and meaningful weekly service! 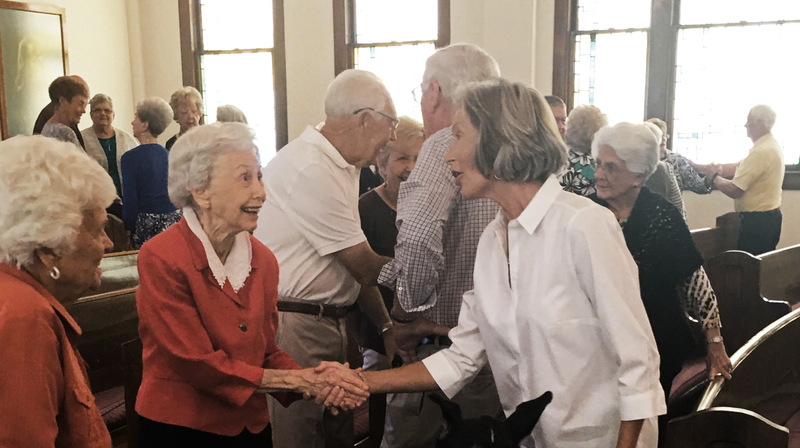 There are many ways for people of all ages to share their gifts in worship. Please consider being a part of our regular rotation of leadership. All teams serve on a rotating schedule to help balance commitment levels! 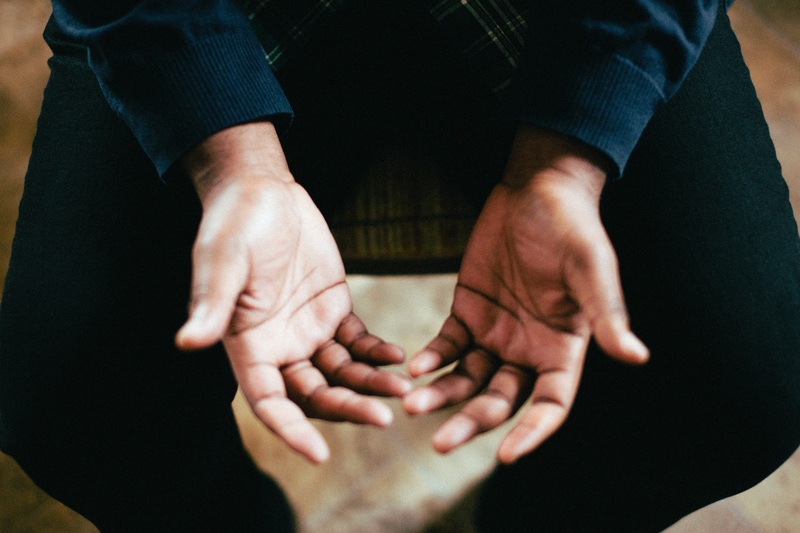 Please check any boxes where you might be interested in serving: Please check any boxes where you might be interested in serving: USHER - Greet worshipers, hand out bulletins, and collect the offering. COMMUNION STEWARD - Prepare communion for the worship services. COMMUNION SERVER - Assist ministers in serving Communion. SCRIPTURE READER - Read scripture from the lectern on Sunday morning. ACOLYTE - Light candles and assist Pastors with Sacraments. AUDIO / VISUAL TEAM - Help with sound and screen projection. MUSICIAN - Sing or play an instrument in worship. Sunday mornings are a great time to care for our congregation in a simple way. Coffee and pastries are made available on Sunday mornings in the atrium area. We’d love to have you join us in ministering to our congregation and guests. Would you consider volunteering for an upcoming Sunday? Greeters serve a vital role at our church each Sunday. First time guests and members alike benefit from a welcoming smile. We are always seeking individuals with a heart for hospitality to make our Sunday mornings even brighter. We’d love to have you join the team! Please indicate your area of interest below: Doorway Greeter, Hospitality Guide, Children’s Welcome Center Greeter, Children’s Check-Point Monitor.